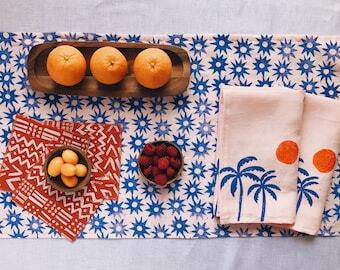 hand block printed linen table runners, pillows & more. hand block printed 72" linen table runner. sun burst on blush pink. boho decor. beach house. coastal. linen tablecloth. stars. star pattern. hand block printed 72" linen table runner. palm sunset on blush pink. boho decor. modern pattern. beach house. coastal. linen tablecloth. linen throw pillow. palm leaf on burnt orange. 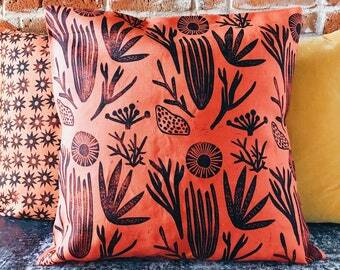 hand block printed 20" pillow cover. boho decor. organic & eco-friendly. printed pillow. 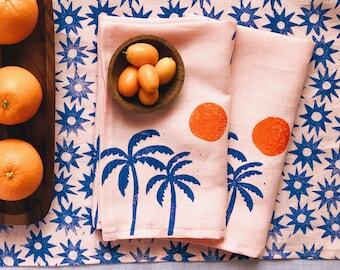 hand block printed linen napkins. sardines on blue. set of four / placemats / tea towels. boho beach house decor. fish pattern. coastal. 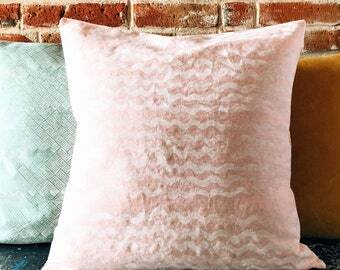 linen throw pillow. triangle study on seafoam blue. 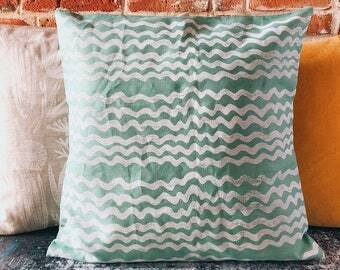 hand block printed 20" pillow cover. boho decor. beach house. modern pattern. teal. Announcement Spring/Summer 2019 is HERE! Sardines, Santorini Sunsets, Palms & Abstracts. Corals & Shells! Did I mention, FREE SHIPPING until 11:59p on 3/17? 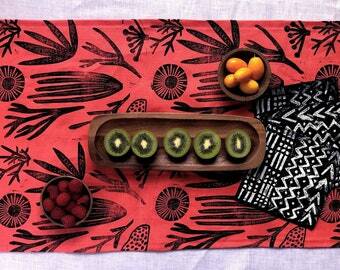 block printed linen napkins. palm sunset on seafoam. 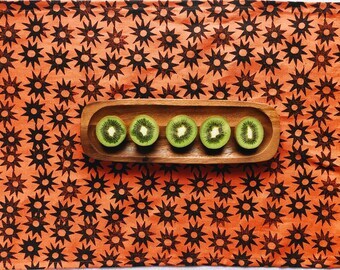 set of four / placemats / tea towels. boho home decor. beach coastal. teal napkins. hand block printed 72" linen table runner. 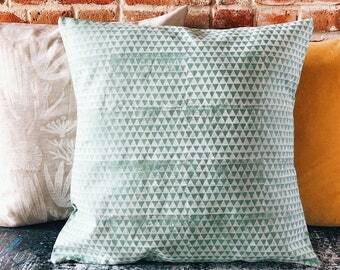 triangles on seafoam blue. boho decor. modern pattern. beach house. coastal. linen tablecloth. hand block printed 72" linen table runner. palm sunset on seafoam blue. boho decor. modern pattern. beach house. coastal. linen tablecloth. 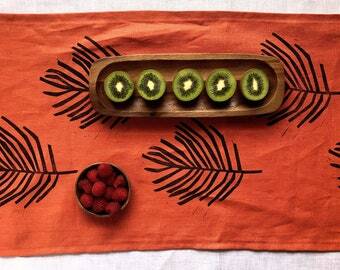 hand block printed 72" linen table runner. sardines on cerulean blue. boho decor. modern. beach house. coastal. linen tablecloth. fish. 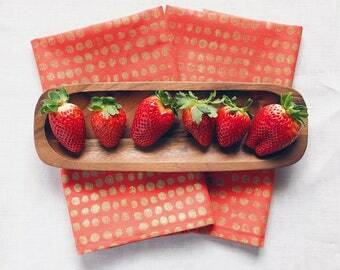 block printed linen napkins. sun burst on blush pink. set of four / placemats / tea towels. boho home decor. palm beach. starburst. stars. hand block printed 72" linen table runner. sea things on oatmeal. boho decor. beach house. coastal. linen tablecloth. coral cactus shell. 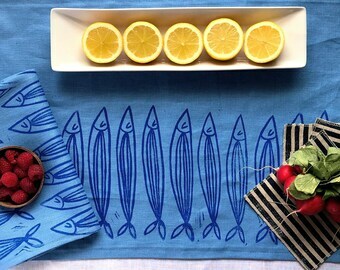 hand block printed linen napkins. scallop shell on oatmeal. 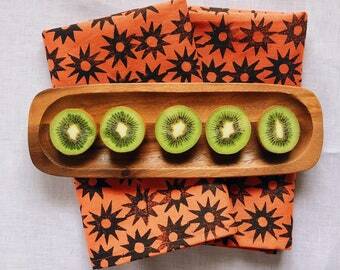 set of four / placemats / tea towels. boho beach house decor. coastal. hand block printed 72" linen table runner. sun burst on burnt orange. boho decor. beach house. coastal. linen tablecloth. star pattern. 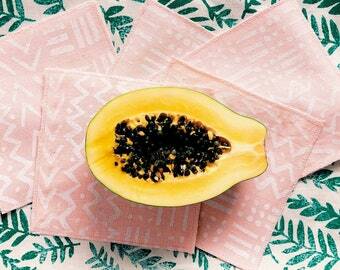 block printed linen napkins. sun burst on burnt orange. set of four / placemats / tea towels. boho home decor. starburst. stars. hand block printed 72" linen table runner. sea things on melon pink. boho decor. beach house. coastal. linen tablecloth. coral cactus shell. linen napkin set. gold nuggets on pink. hand block printed. set of four / placemats. hostess & housewarming gift. organic. boho home. 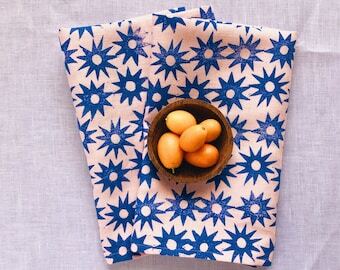 hand block printed linen napkins. sea things on melon pink. set of four / placemats / tea towels. boho beach house decor. coral. seashell. linen throw pillow. basketweave on seafoam blue. 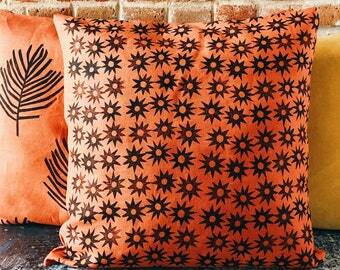 hand block printed 20" pillow cover. boho decor. organic & eco-friendly. beach house. linen throw pillow. sea things on oatmeal. 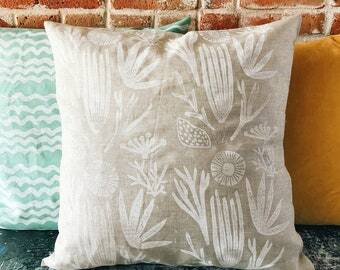 hand block printed 20" pillow cover. boho decor. beach house. coastal decor. coral. cactus. sand. linen throw pillow. waves on seafoam blue. 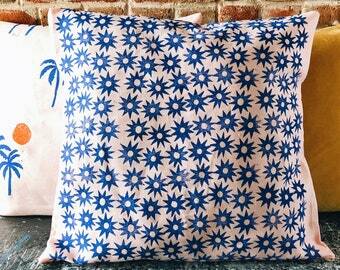 hand block printed 20" pillow cover. boho decor. beach house. modern. teal. ocean. organic. linen throw pillow. 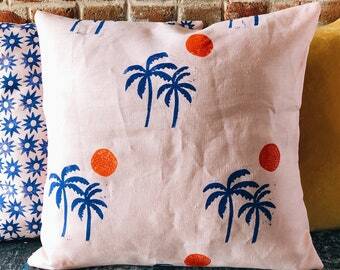 palm sunset on blush pink linen. 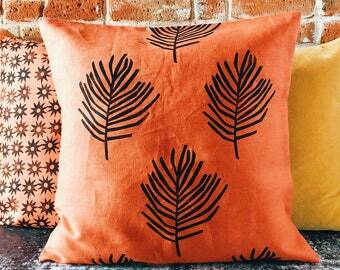 hand block printed 20" pillow cover. boho decor. organic & eco-friendly. beach house. linen throw pillow. waves on blush pink linen. 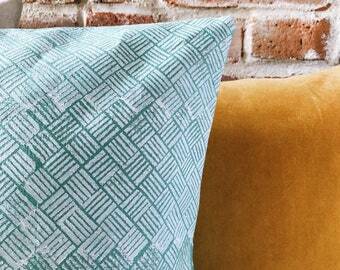 hand block printed 20" pillow cover. boho decor. beach house. coastal decor. ocean. organic. linen throw pillow. sea things on melon pink. 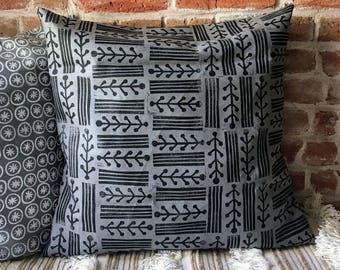 hand block printed 20" pillow cover. boho decor. beach house. coastal decor. coral. cactus. linen throw pillow. mudcloth inspired in blush pink linen. 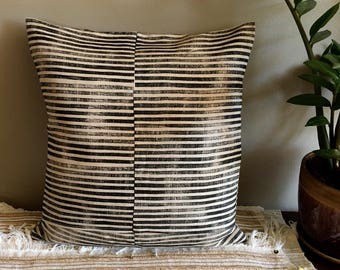 hand block printed 20" pillow cover. boho decor. organic & eco-friendly. linen throw pillow. 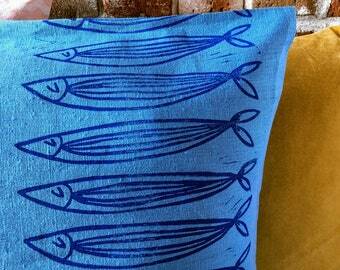 sardines on cerulean blue. 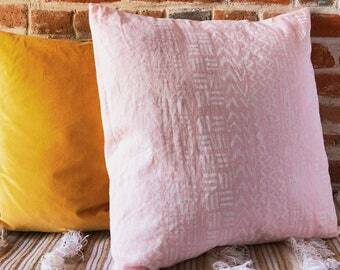 hand block printed 20" pillow cover. boho decor. organic & eco-friendly. beach house. fish. indigo boomerang. 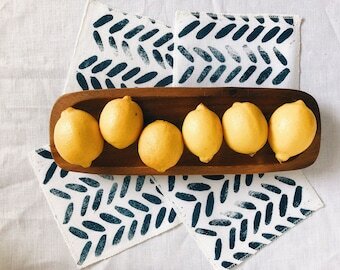 block print linen napkins set of four. 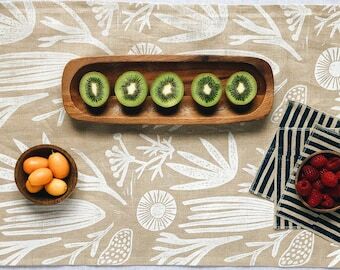 / hand printed / placemats. 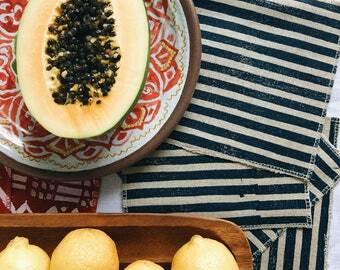 food styling & entertaining. hostess gift. boho home. 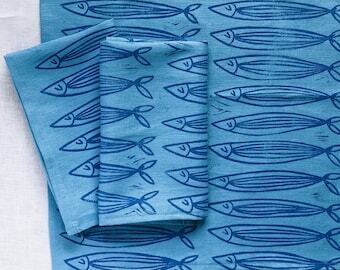 block printed linen dinner napkins. indigo gingham. hand printed pattern. 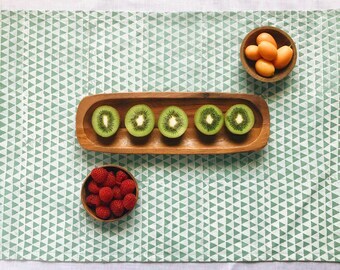 set of four / placemats / tea towel. organic. picnic. boho gift. 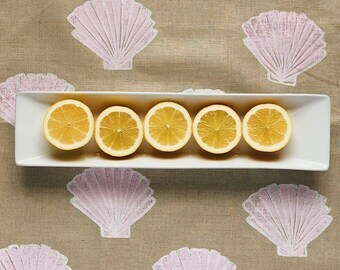 linen cocktail napkins. white mudcloth on blush pink. hand block printed. set of four / coasters. valentine's day decor. boho valentine. Just lovely. And arrived quickly. indigo boomerang. 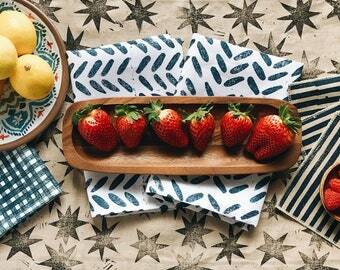 block printed 72" linen table runner. hand printed with hand carved blocks. blue and white boho table runner. boho throw pillow. foraged twigs. hand block printed. boho decor. organic linen. midcentury modern. block printed pillow. graphic pillow. New studio all set up & ready for a million new ideas I have. stripe study. block printed 72" linen table runner. hand printed with hand carved blocks. 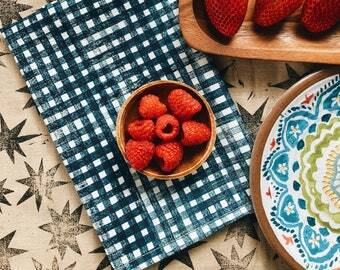 food styling, modern entertaining, boho home. Embracing color & pattern with traditional printmaking techniques. Utilizing traditional block & screen printing methods to create home goods that I hope will make you smile. I believe products should make you feel good (& leave the earth feeling good, too)!